The American Human Rights Council (AHRC-USA) expresses its serious concerns regarding the international community’s lack of attention to the state of war and conflict and its devastating impact on the Yemeni people across Yemen. AHRC-USA calls for serious talks to end the conflict in Yemen. The conflict in Yemen has devastated the country and its people. The war has added to the serious challenges that Yemen had even before the conflict. Yemen is one of the poorest countries in the world and the war has compounded its challenges. AHRC-USA calls on the UN and all concerned parties to reach agreement ending the war in Yemen. The parties that spend money on the war in Yemen have a moral obligation not only to help end the war but to rebuild the country as well. 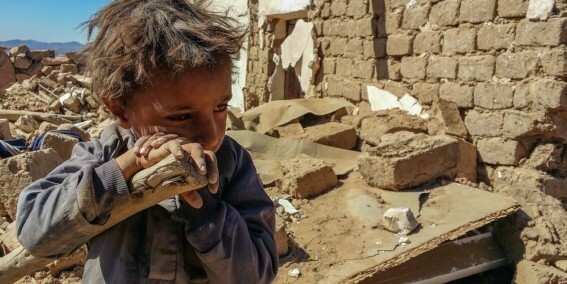 “There is no excuse to the neglect of the ongoing human-made disaster in Yemen,” said Imad Hamad, AHRC Executive Director. “We urge the warring parties to engage in serious dialogue to end the war in Yemen,” continued Hamad.